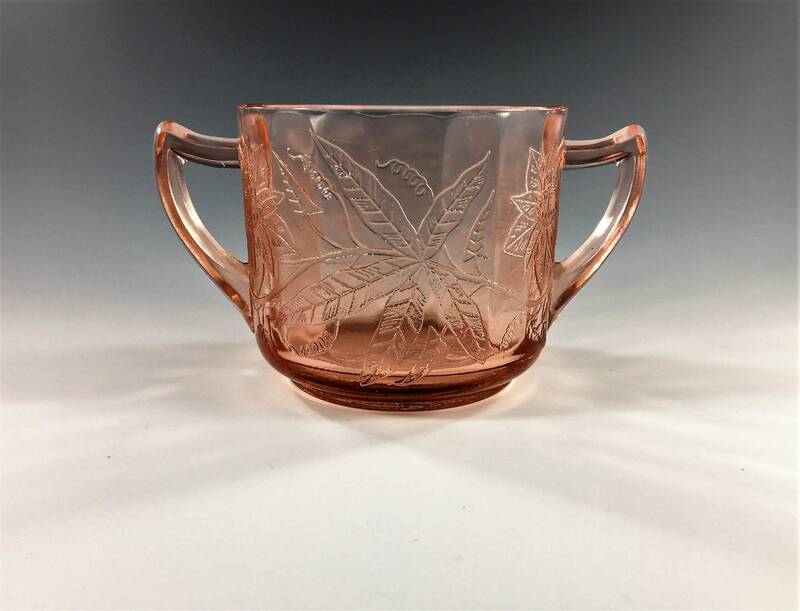 Featured is a beautiful pink Depression Glass open sugar bowl from Jeannette Glass. 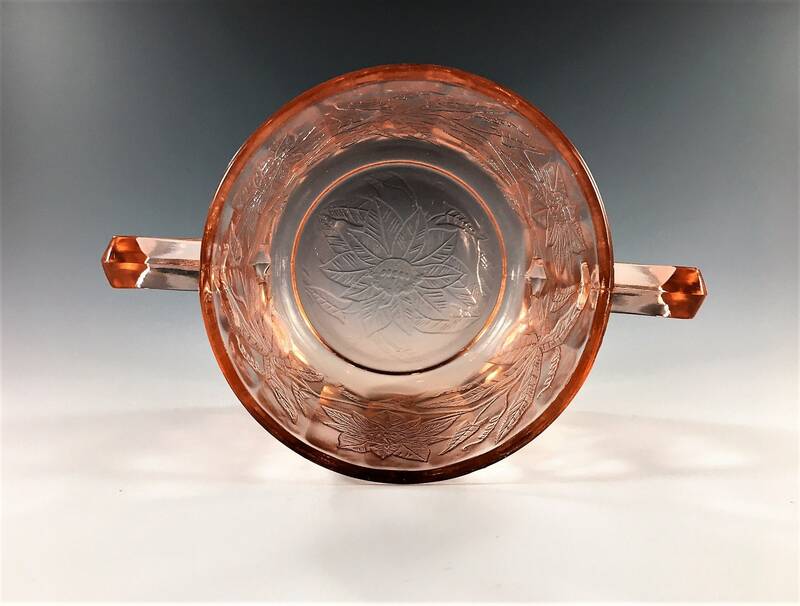 This piece is in the popular Floral pattern that was produced from 1932-35. 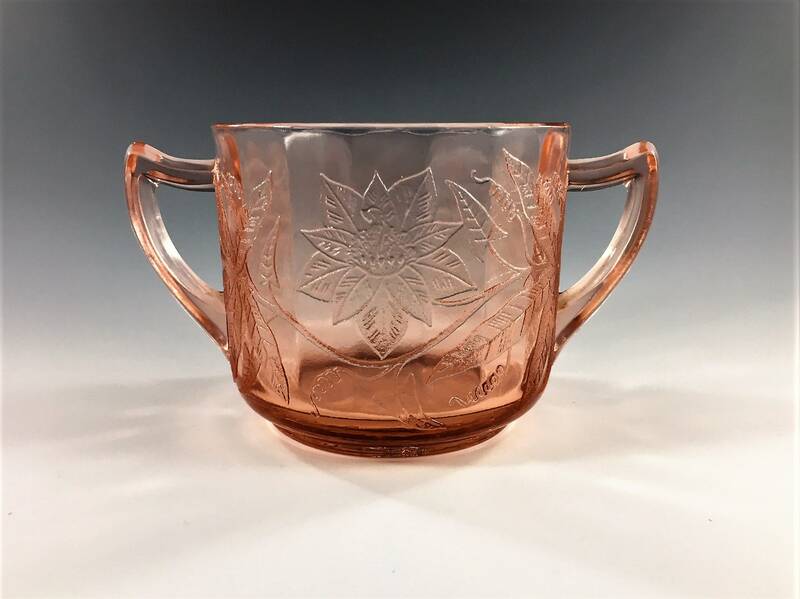 This pattern was also known as Poinsettia by collectors. 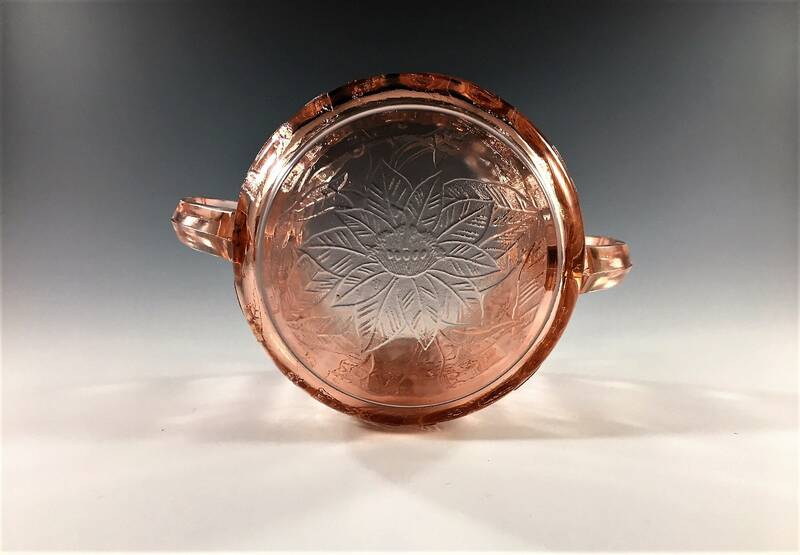 This sugar dish measures about 3 1/2 inches in diameter (not including the handles) and about 3 inches tall. It's in good condition, free from chips or cracks.